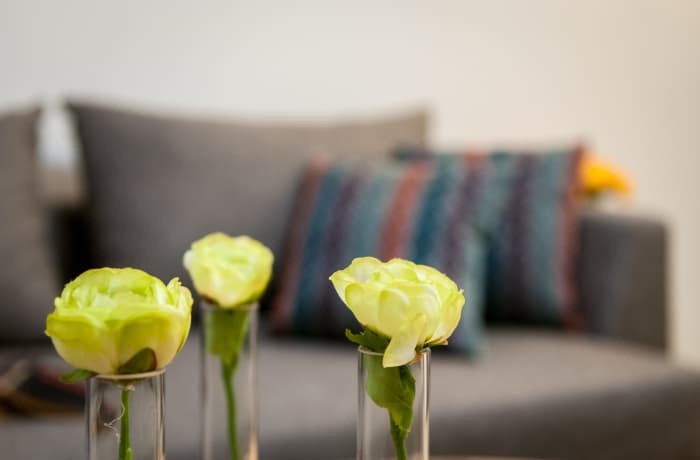 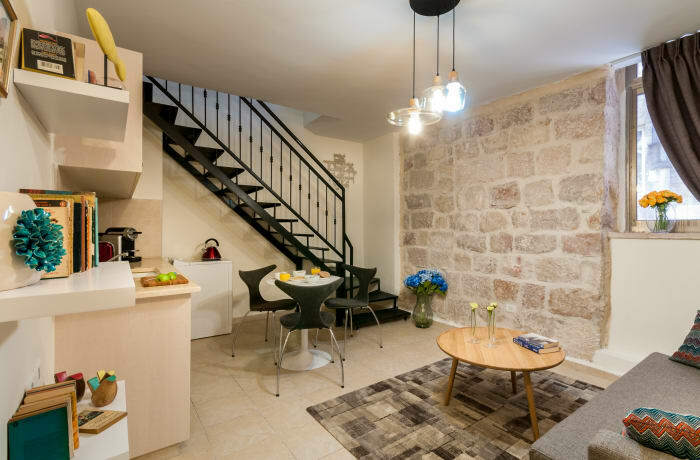 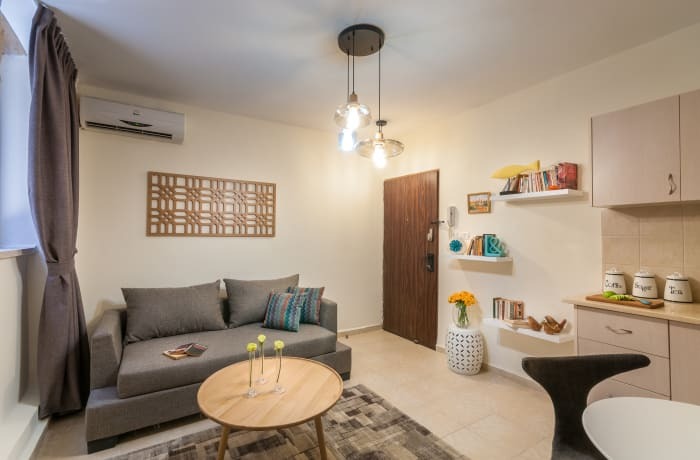 In the busy city center of Jerusalem, the chic 1-bedroom Yaffo III vacation apartment will be your home away from home. 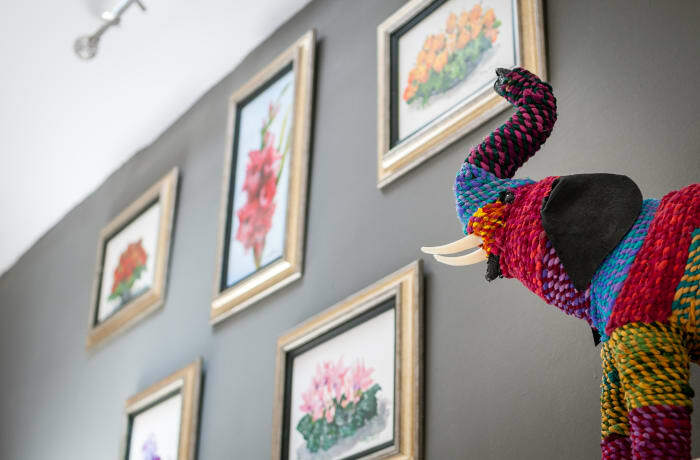 This lively neighborhood is known for its bustling streets and diverse food scene. 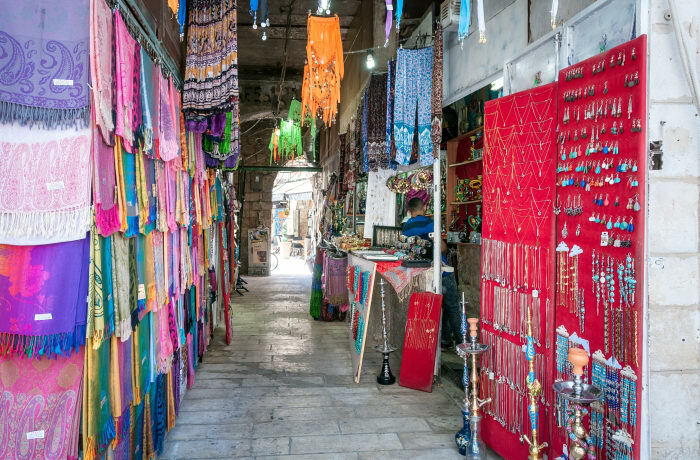 The Old City of Jerusalem is only a brief stroll away (12 min) via the centuries-old Jaffa Gate. 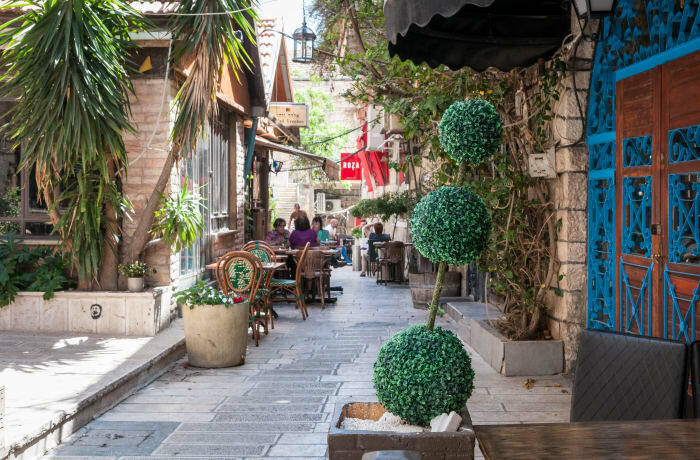 Dine alongside the Israeli literati at the Tmol Shilshom cafe and bookstore (2 min), or head over to the open-air Mahane Yehuda Market (14 minutes) to haggle over fresh produce, local delicacies, and handicrafts. 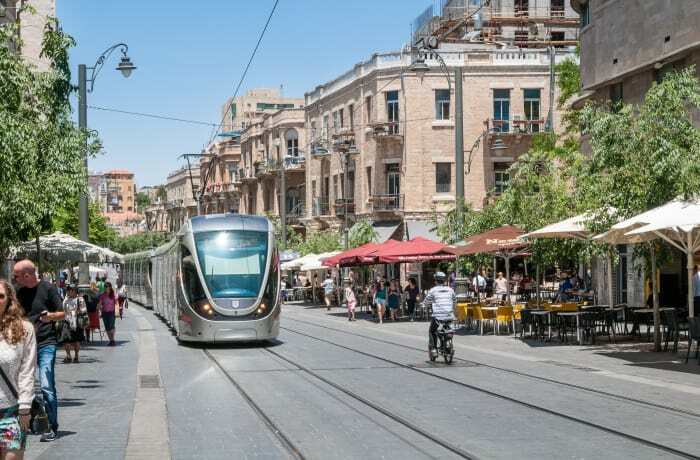 The Yaffo-Center light rail stop is close (4 min) as are several bus stops. 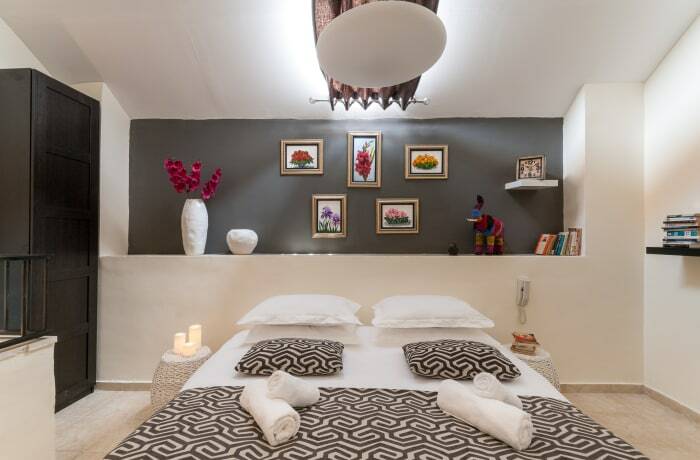 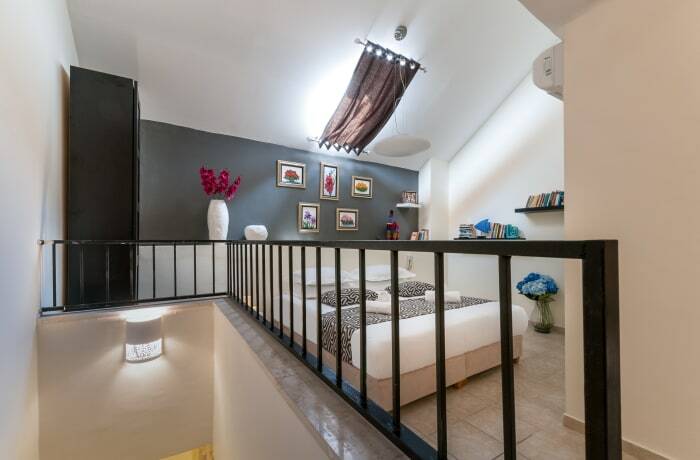 Our local interior designer has created a sunlit, romantic space in this vacation apartment. 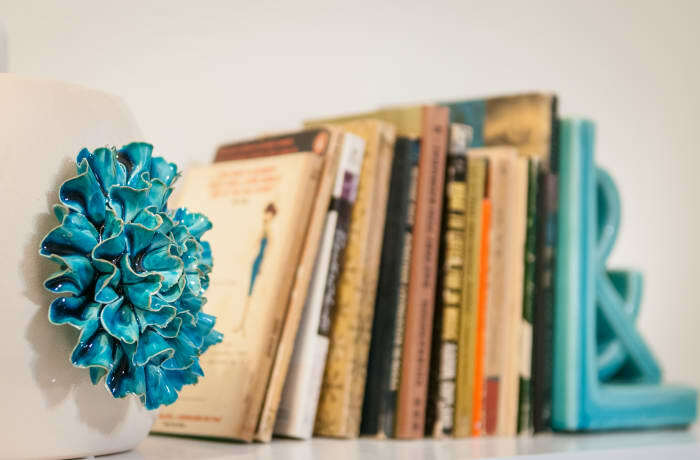 With its open-plan kitchen and book-filled shelves, the apartment offers its guests all the highlights of a home in a convenient hotel setting. 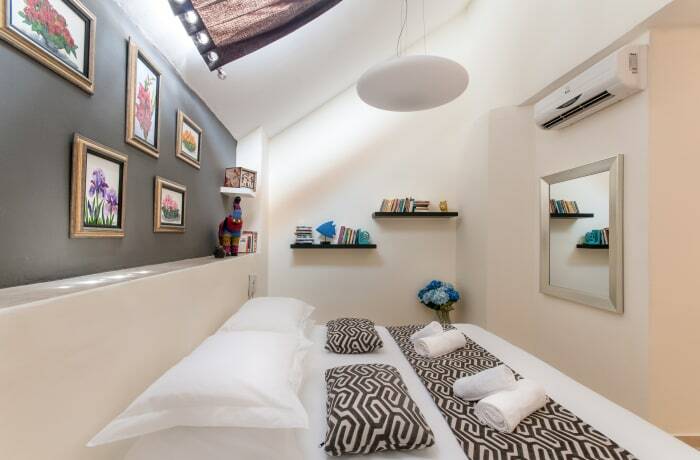 A plush bedroom invites you to rest your head after a long day. 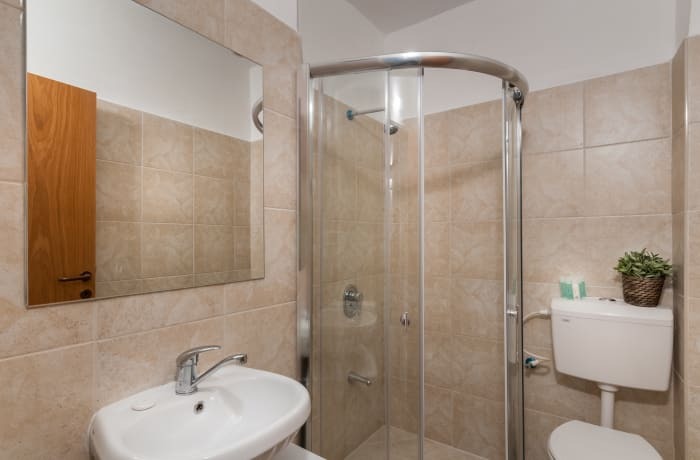 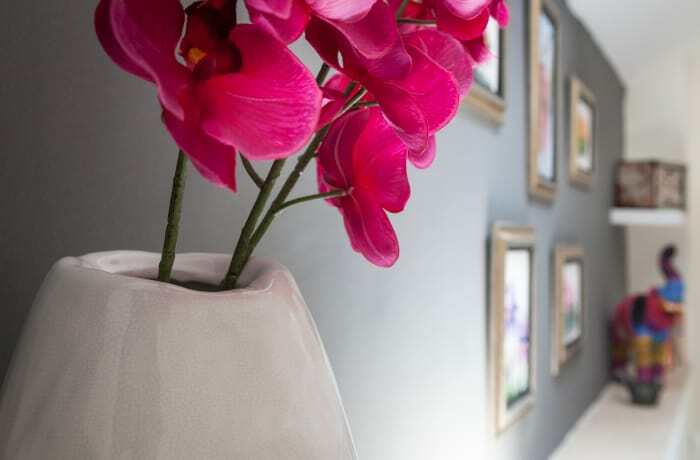 Premium amenities include free WiFi, cable TV, high-end toiletries, hotel beds and linens, and a Nespresso machine. 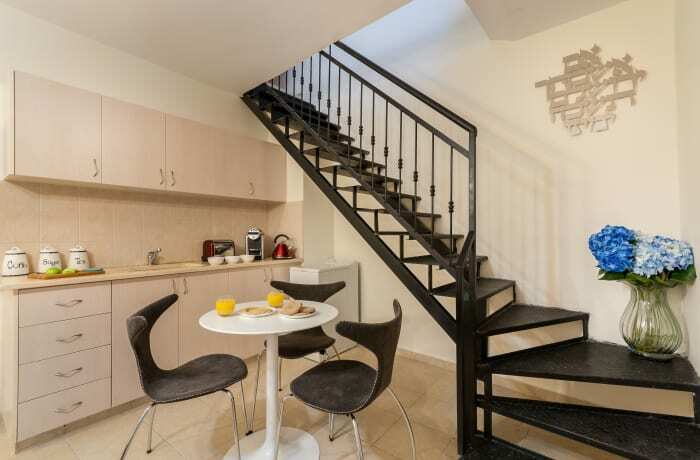 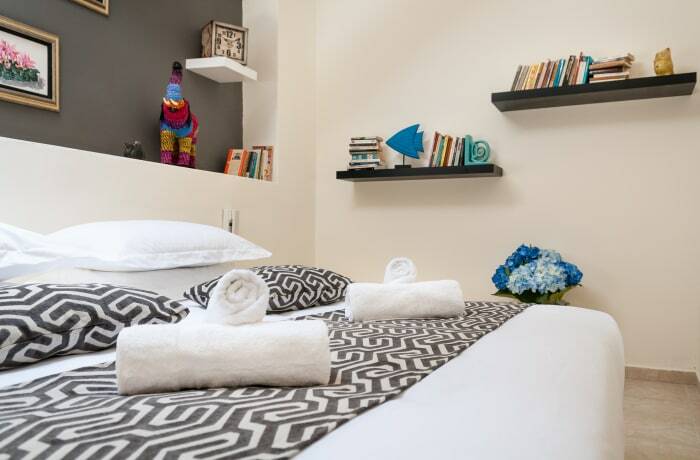 Ideal for couples or solo travelers, this charming apartment puts Jerusalem at your doorstep.